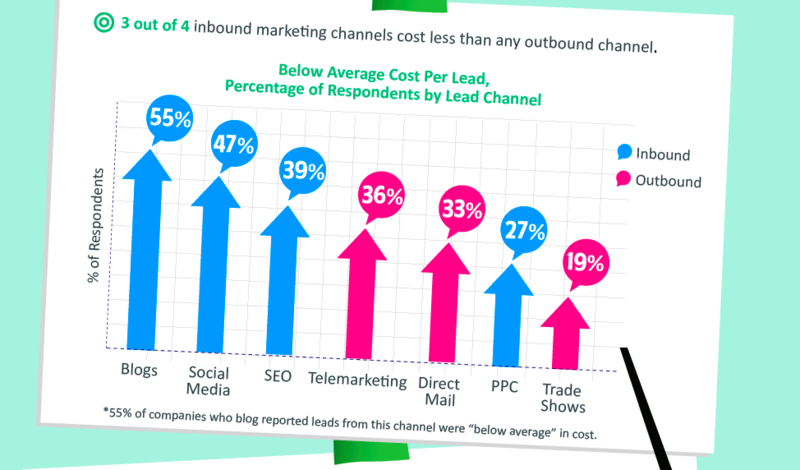 2011 Inbound vs. Outbound Infographic by Mashable. Observation #1: "The Dawn of Marketing You Won't Hate." Yup, we're pretty far past the dawn now. We're probably sitting around mid-morning tea time. Not quite high noon, but the roosters got bored of crowing a few hours ago. Observation #2: We wouldn't say consumers are "flocking" to the Internet anymore. They've already settled in like millions of birds on a single gigantic telephone wire. They've set up camp and are here to stay. 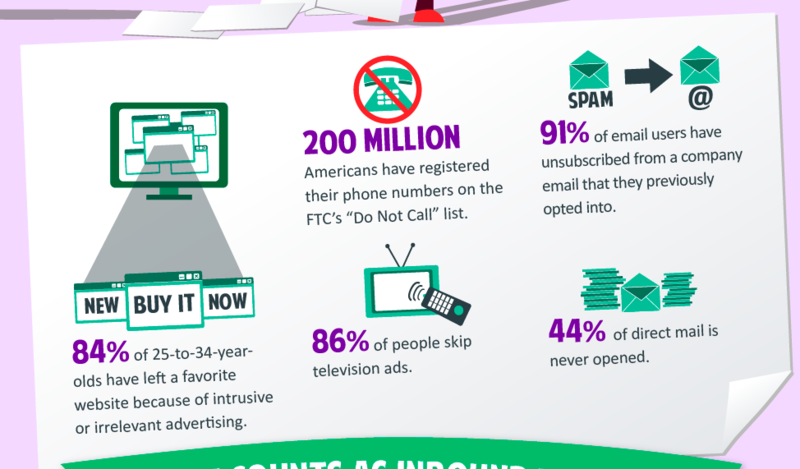 Observation #3: Consumers are even more put-off by intrusive marketing than they were in 2011. Hardly any young folk have cable subscriptions anymore - they're signed up with Netflix and Hulu to get away from those ads. 2011 vs. 2016: Outbound tactics are even less relevant than they were five years ago (however, they still cling on in some old-fashioned industries). In 2011, an estimated 2.3 billion people were accessing the Internet; in 2016, that number has shot up to 3.2 billion. That's almost half of the entire world population. In 2016, there is no excuse for not taking advantage of the Internet's business benefits (and that means learning etiquette and best practices). Observation #4: Inbound vs. outbound is still an important distinction to make. 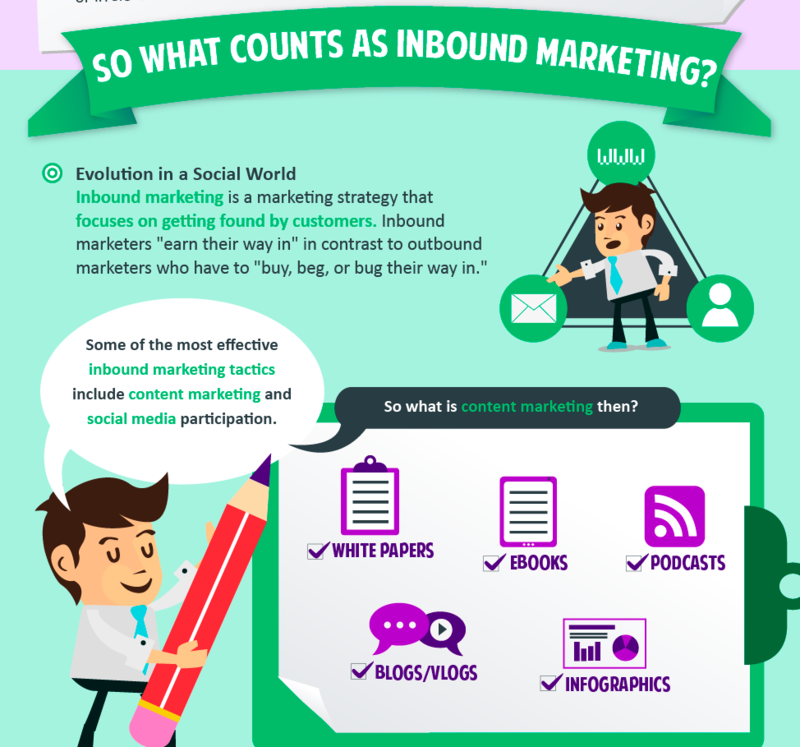 The great part is that, in 2016, most people will understand the terms "inbound" and "outbound" so you don't have to use generic terms like "new" and "old" marketing. Observation #5: Value: entertainment, utility, education, or all of the above? One thing that will NEVER change is your customers' need for valuable, relevant content. If your company can't display value within their goldfish-level online attention span (8 seconds), you've lost your chance to hook them. 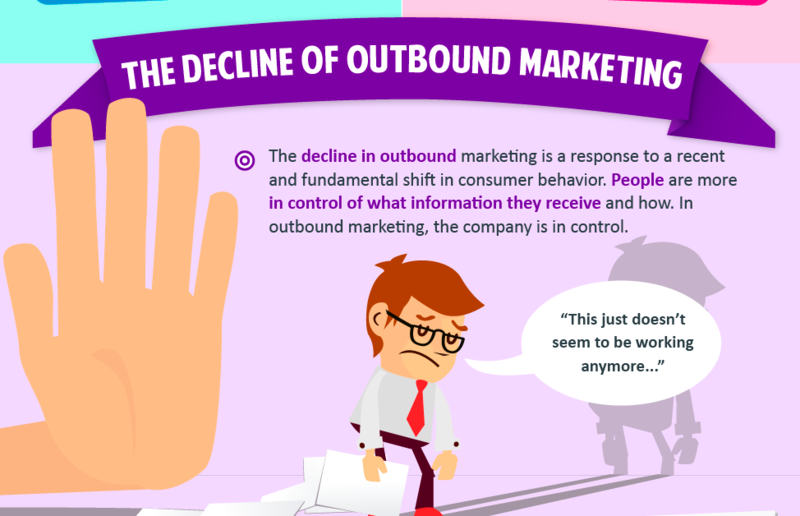 Observation #6: Although marketers today seem to understand inbound marketing principles, it's still amazing how many continue to employ bad outbound tactics. Whoever still subscribes to the idea that customers just love to be interrupted and yelled at to buy things needs to stop that. Observation #7: There's been a shift in consumer behavior as well as a shift in expectations. We no longer have to grin and bear advertisements. We can close them, hit the back button, or otherwise remove ourselves from the situation. Interruption ads don't work because nobody wants to see them, and we have the ability to completely ignore them. 2011 vs. 2016: The slow decline of outbound is becoming a fiery smoking death spiral. Marketers who've used traditional methods all their lives and say this is how we've always done it and this is how I'll do it whether it works or not are crashing and burning. Consumers have all of the control over what information they absorb, and companies who attempt to lock visitors into consuming their content are viewed as aggressive, desperate, and disrespectful. Observation #8: On the "Do Not Call" list: 57% of Americans aged 18-44 are living in wireless-only households. Currently, it is illegal to call cell phones with unsolicited telemarketing or robocalls. So, fewer people need to place themselves on the DNC list. Interruption marketing is by default, through social and technological changes, falling by the wayside. Observation #9: On skipping television ads: what ads do you think of when you hear "powerful TV advertising?" Most people think of the infamous Superbowl commercials. However, a 2014 study found that 80% of those amazing, incredibly expensive ads do not increase sales for the companies running them. And that's during a time when people tune in just to watch the commercials. What do you think that means for everyday commercials? Observation #10: In only five years, entirely new and unexpected marketing avenues have opened up. Traditional inbound tactics like content marketing, SEO, and social media are still heavy hitters. However, marketers are starting to understand the power of personalization marketing. Buyer personas, interactive marketing, relationship marketing, and location-based marketing are influencing how we utilize content and other inbound tools. One of the most incredible advances in online marketing is the ability to provide a personalized experience every single time a visitor enters a website. Your website can show different content to users in different industries and from different IP addresses. You can show the same user different content and information depending on what actions they took last time they visited your site. It seems amazing in 2016, but it will probably be the norm in 2021. Observation #11: We have a few new players on the social media scene in 2016. Facebook and Twitter were big in 2011; now, we have Instagram, Google+, Snapchat, Pinterest, LinkedIn, and YouTube in the MVP lineup. In 2011, there were only 800 million Facebook users, and 100 million active Twitter accounts (225 million registered). In 2016, those numbers have skyrocketed to 1.59 billion Facebook users and 320 million active Twitter accounts (1 billion registered). 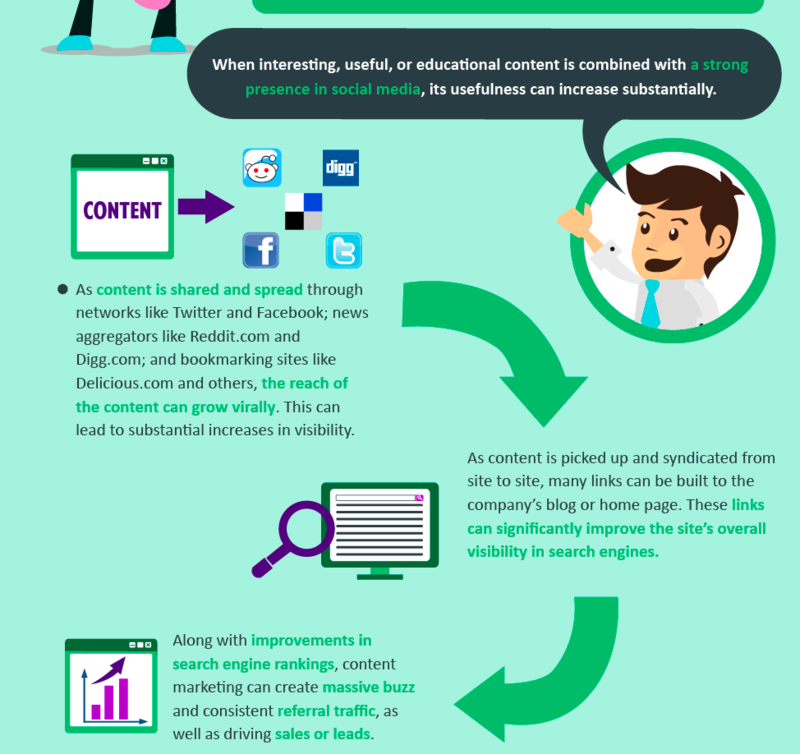 Content is often shared across multiple social networks; you'll often see fun YouTube videos or Vines making the rounds through Twitter and Facebook. For business purposes (B2B marketing and networking), LinkedIn is now the go-to website. 2011 vs. 2016: Let's look at some updated inbound marketing statistics. The average social media budget was 7% in 2011. In 2015, it reached 11%. Experts expect it to increase to 24% by 2020. A 2015 Social Media Examiner survey found that 96% of survey participants use social media marketing, and 92% stated that social media marketing is important to their business. 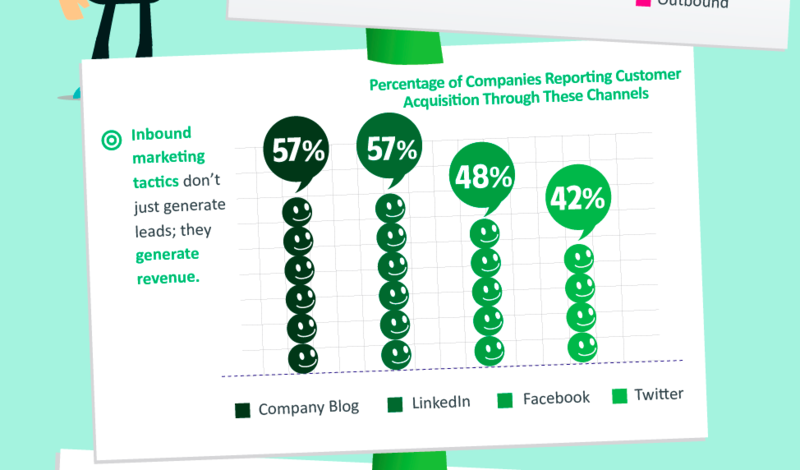 85% of B2B marketers say lead generation will be their most important content marketing goal in 2016. Sales will be their second priority. 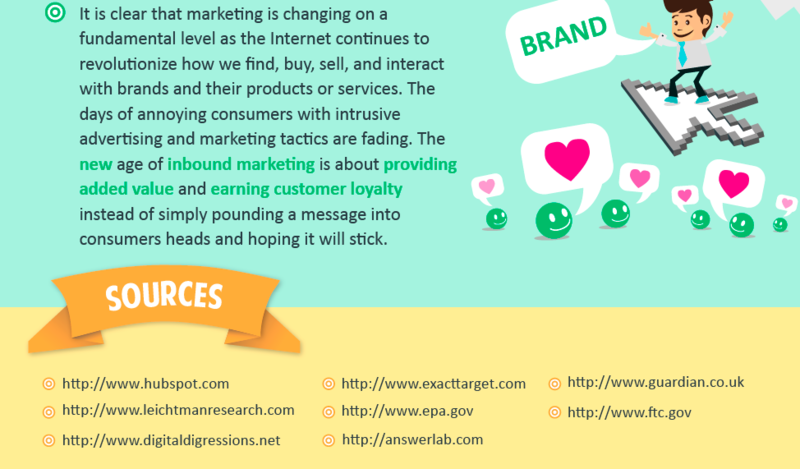 As more and more people take notice of the effectiveness of inbound marketing, we see an increase in people using these tactics as part of their marketing strategies. As we continue to refine inbound methods, we see a corresponding increase in the number of people using these tactics effectively. Observation #12: Inbound strategies continue to cost about half the price of outbound strategies. 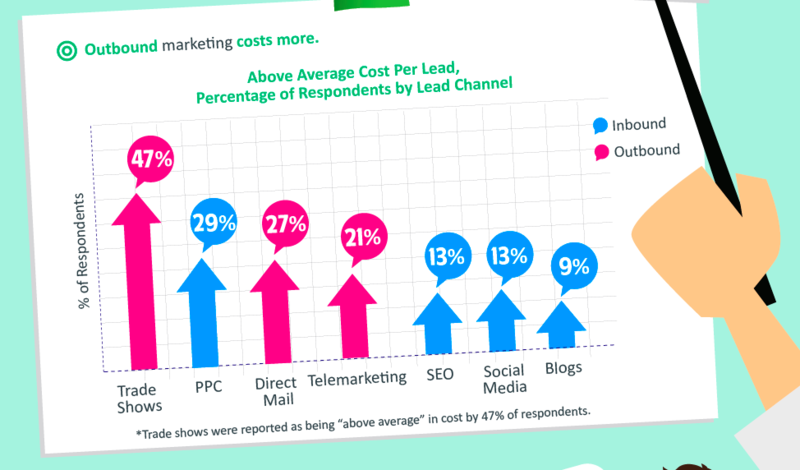 Inbound leads, on average, cost $135 compared to outbound's $346. Some outbound tactics, like the newspaper and its advertising services, are facing extinction in the face of online news sources. 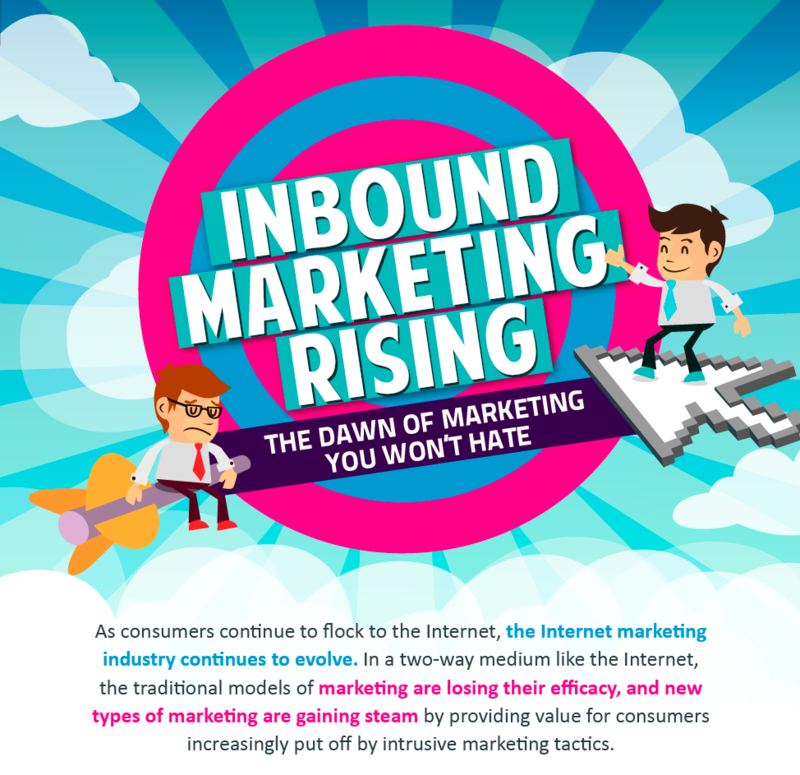 Inbound marketing is slowly becoming the only viable option. In only two years, from 2011 to 2013, there was a 35% increase in the number of businesses who acquired a customer from LinkedIn (57% to 77%). There was a 42% increase in those who acquired a customer from Facebook (48% to 77%). 82% of companies who blog daily have acquired a customer through their blog. 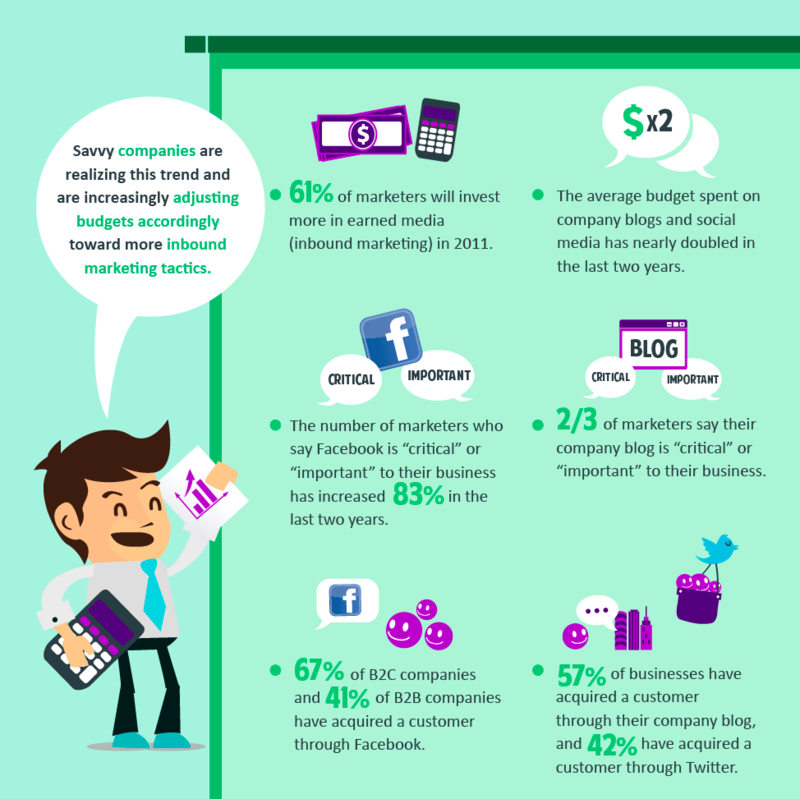 As marketers turn to online marketing avenues, more customers are being acquired through social media and blogs. 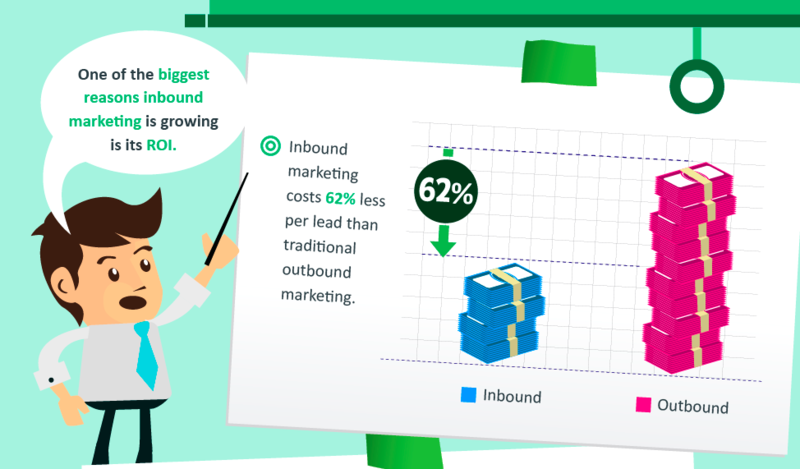 Observation #13: That's a really convoluted way of saying "all inbound marketing channels cost less than outbound except for paid advertising." Which, duh. Outbound marketing tends to be paid advertising by default (you pay a network, radio channel, trade show, or website to host your stuff). Inbound-style paid advertising simply targets your buyer personas instead of throwing spaghetti at a wall to see what sticks. Other inbound tactics, like social media, blogging, and SEO, are "free" - you can do them yourself, without paying anyone to host your content. 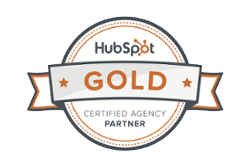 The cost of inbound comes in the form of salary or retainer fees when you hire someone to do it for you. Observation #14: Trade shows continue to be a very, very expensive investment. They can run you $50,000 for a three-day event, including the cost of the booth, transportation, food, lodging, and other miscellaneous costs. That's a huge amount of money to drop on three days, even for large corporations. In comparison, $50k could get you a year's worth of quality inbound marketing (which has a much higher ROI compared to trade shows). 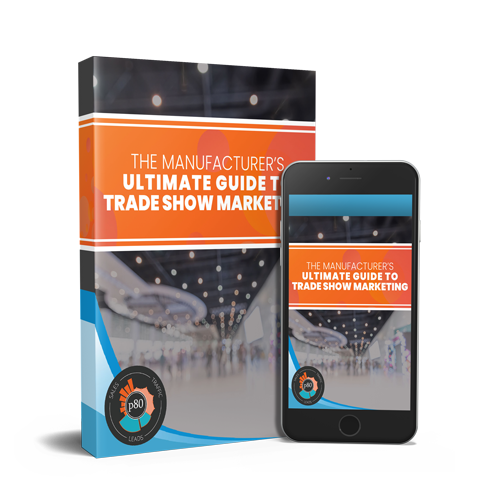 Or, you could do both - make inbound marketing a part of your trade show presence and enjoy the short-term AND long-term benefits. In 2016, we continue to see major changes on the technological landscape that affect how we market. Growing technologies like virtual reality and wearable tech are bringing new variables to inbound every day. As we get more comfortable with online marketing, brand-consumer interaction is no longer the seller-to-victim relationship it used to be. Now, we enjoy seeing our favorite brands pop up on our social media - Old Spice with their crazy videos, Dollar Shave Club with their fun images, and Charmin with their weird tweets, to name a few. Now, brands feel like cool friends popping up on your Twitter or Facebook feed. And that's what buyers love. The more they feel connected to your brand, the more inclined they are to come to you when it's time to make a purchase decision. Full credits to Mashable, Voltier Digital, and their sources.